Dr. Daft has deposition and trial testimony experience. We offer many forensic consulting services to the civil and criminal justice communities. 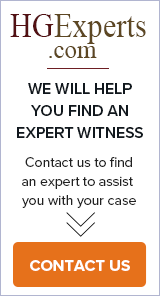 From helping to get your laboratory accredited to serving as an expert witness in court. i-RFP is the latest Project Management and Request for Proposal (RFP) system for law firms that significantly minimizes the time and effort required to manage litigation support projects with your preferred vendors.